...his music feels like a breath of fresh air in an overcrowded field. 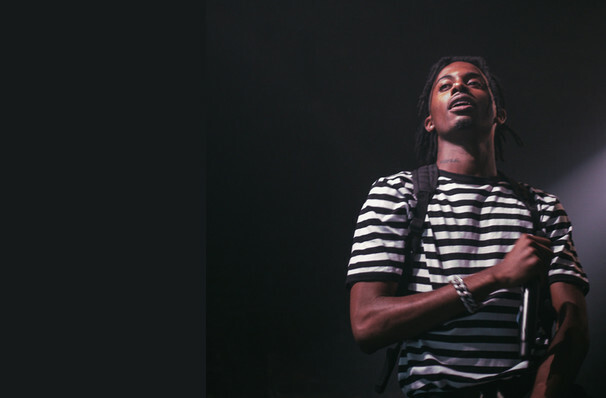 Atlanta born-and-raised rapper Playboi Carti captured mainstream attention as an affiliate of A$AP Mob in the mid 2010s. Rising to the fore of the 'mumble rap' genre, the 21 year-old hip hop upstart honed his craft on collabs and mixtapes featuring the likes of Lil Uzi Vert and Young Thug. Praised for his playful, hard-hitting and melodically rich tunes, Carti continues to defy conventions with the release of his critically acclaimed debut album Die Lit, following its success with a triumphant North American tour this summer. The album finds Carti at the top of his game and unafraid to not only break the rules but mould them to his own outrageous vision for the future of hip hop. Marrying street rap with internet memes, an unbridled energy and slick production, the sonically daring young innovator pushes his art to its heady extremes, tying things together with a laid back charisma and swagger that marks him as leader of new guard. Don't miss this Instagram king as he ascends to his throne amongst the greats. Sound good to you? 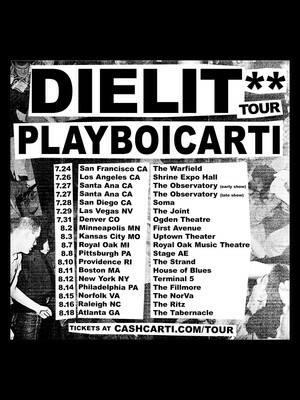 Share this page on social media and let your friends know about Playboi Carti at The El Rey Theater. Please note: The term The El Rey Theater and/or Playboi Carti as well as all associated graphics, logos, and/or other trademarks, tradenames or copyrights are the property of the The El Rey Theater and/or Playboi Carti and are used herein for factual descriptive purposes only. We are in no way associated with or authorized by the The El Rey Theater and/or Playboi Carti and neither that entity nor any of its affiliates have licensed or endorsed us to sell tickets, goods and or services in conjunction with their events.